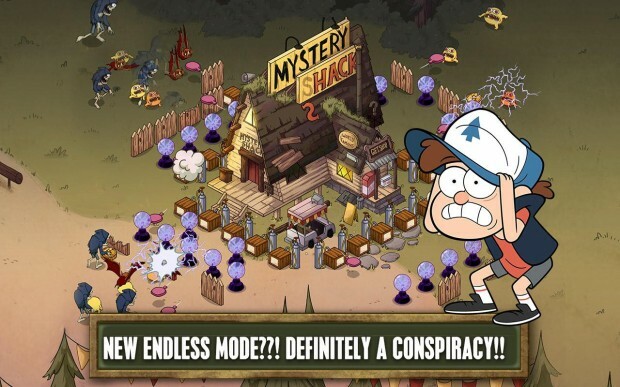 After putting together the shards of the Amulet of the Doomed Li’l Gideon summons supernatural minions to descend onto Mystery Shack and five other locations around the town of Gravity Falls to scare off its inhabitants Dipper, Mabel and Grunkle Stan. 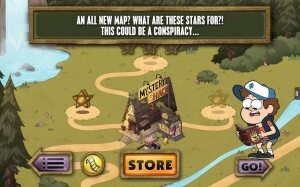 You must help Dipper and Mabel defend these locations from the evil minions using wit, humor, and strategy. 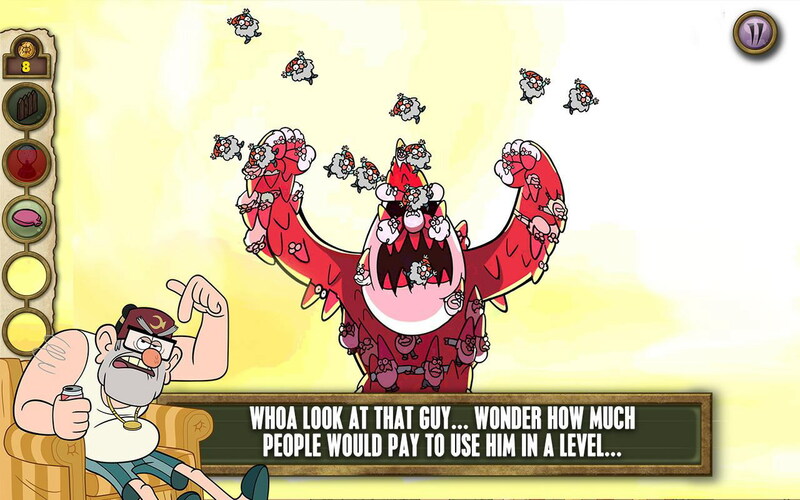 There are 20 cool defense mechanisms for you to try out ranging from Gnome launcher to sneezing powder. Much like any other tower defense game, you have a menu of defense items to choose from, each item carrying its unique characteristic in terms of power, cost, and utility. All items have a cool down period so you may have to use a variety of items to survive a round. Of course, if it doesn’t work to your advantage, you can spend money earned in the game to upgrade your arsenal. If you’re in trouble mid-game you can also summon help from powerful characters of another age and time such as Rumble McSkirmish and other Gravity Fall characters. 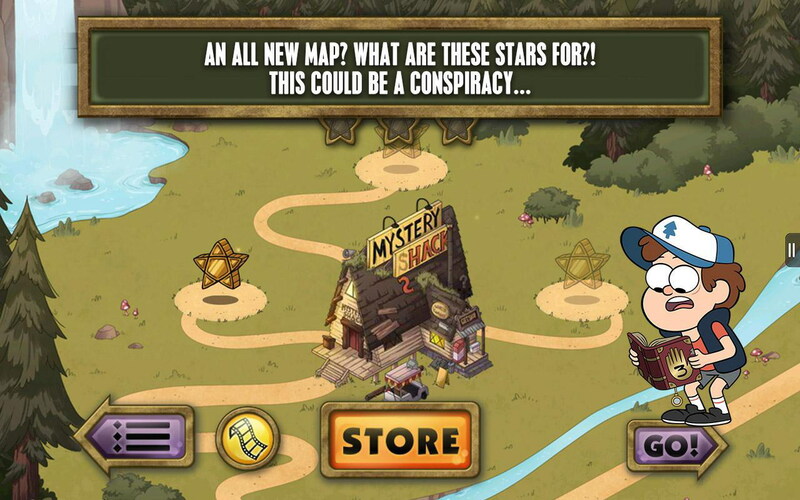 Mystery Shack Attack is a fun kid friendly tower defense game with no IAPs, but you will have to shell out $1.99 if you want to play.